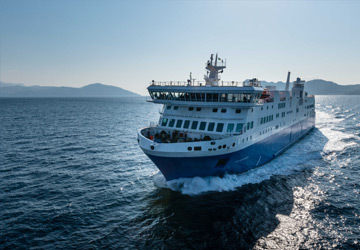 The Volos Alonissos ferry route connects Greece with Sporades Islands and is currently operated by 3 ferry companies. 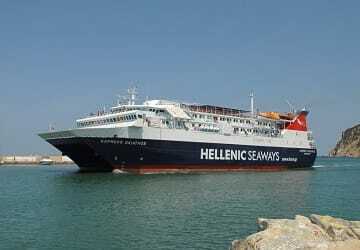 Hellenic Seaways operate their crossing up to 14 times per week, Anes Ferries 4 times per week & the Aegean Flying Dolphins service is available up to 8 times per week. 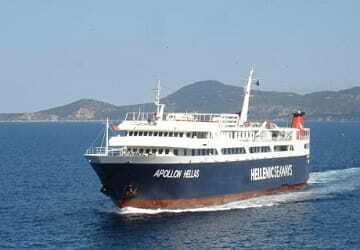 There are a combined 26 sailings available per week on the Volos Alonissos crossing between Greece and Sporades Islands and with 3 ferry companies on offer it is advisable to compare all to make sure you get the best fare at the time that you want to travel. Prices shown represent the average one way price paid by our customers. 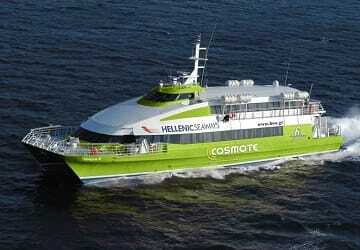 The most common booking on the Volos Alonissos route is a car and 2 passengers. 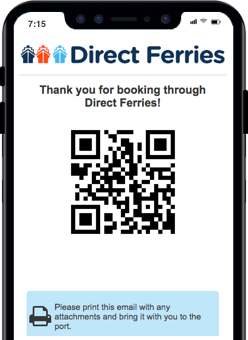 Great service between the islands, on time and fast. It wasn't cheap but the price was correct because it was a fast ferry. The connexion Beetween Volos to the esporadi island is great, the ferry on time. The Greek island of Alonnisos lies in the Aegean Sea and forms one of the Northern Sporades group of islands along with Skopelos and Skiathos. Skopelos is only 3 km to the east of Alonnisos. It is the most remote of the Northern Sporades group of islands and is home to the National Marine Park of the Northern Sporades which is a haven for rare birds, dolphins and the Mediterranean Monk Seal. The island is surrounded by small islands that are scattered around the archipelago and its interior is rugged. It is the perfect island for visitors looking for peach and tranquillity with lovely things to do including taking a leisurely stroll through the pine forests, olive groves and orchards. visitors arriving by ferry will be greeted by the picturesque harbour and island capital of Patitiri. The town has a beautiful stone paved waterfront and takes its name from the wine presses used by the locals. The old island capital is Hora (or Old Village) and provides visitors with lovely views of the sea, stone houses with pretty little courtyards, narrow alleys and a number of churches that capture the spirit of a typical Greek island town. From the port there is ferry and hydrofoil service from Patitiri to Volos, Agios Konstantinos, and Thessaloniki on the mainland and to the islands of Skiathos, Skopelos and Skyros.